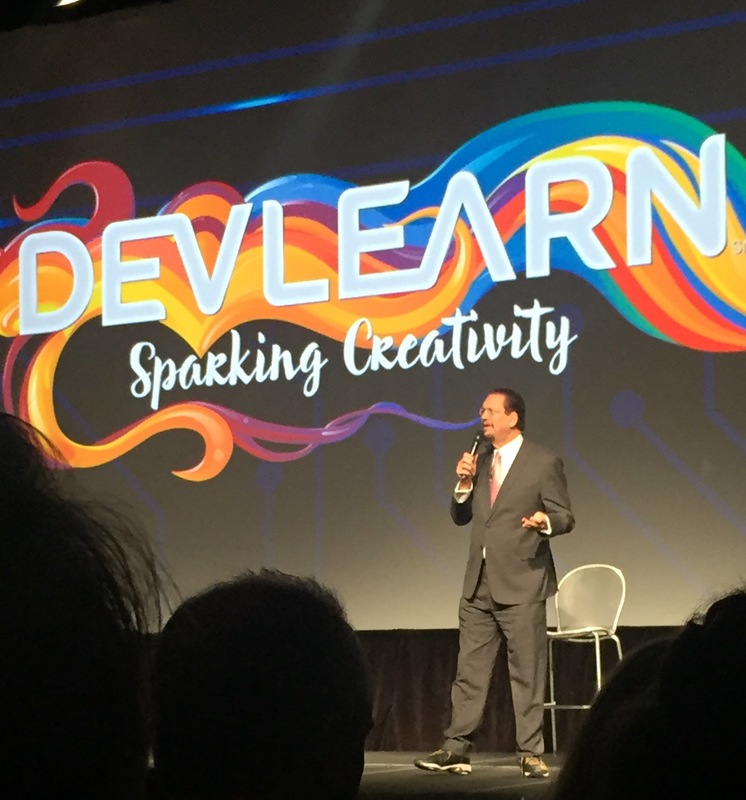 Rob and I are here in Las Vegas for a work conference–DevLearn–for just three days. 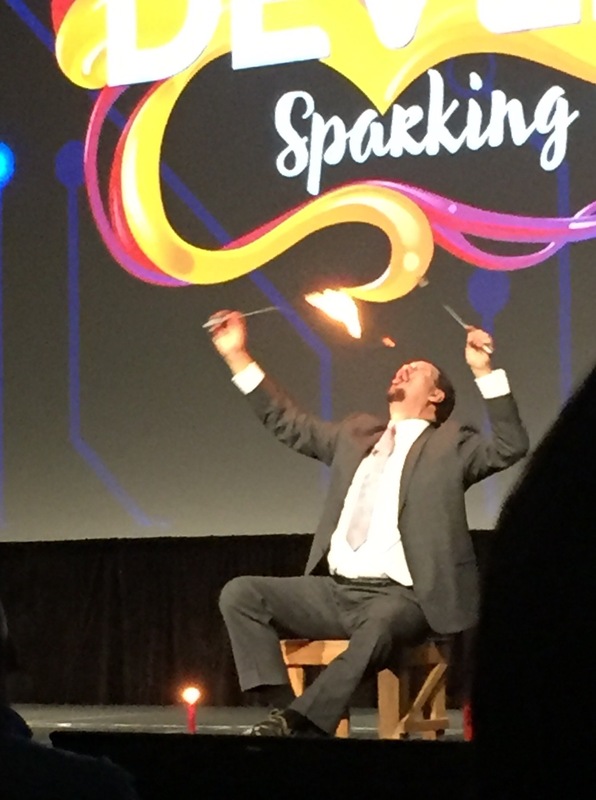 We arrived very late last night, and were up at the crack of dawn for the opening keynote (Penn Jillette, awesome). While we need to attend sessions and vendor demos relevant to our respective jobs by day, we will also be trying to fit in as many delicious meals, along with people-watching, as we can. First up: lunch today at Emeril’s New Orleans Fishhouse, in the MGM Grand, where the conference is taking place. A quick stop between sessions, but enough to report that the quality is quite high and service was excellent. For me, the Chili Marinated Shrimp Tacos. 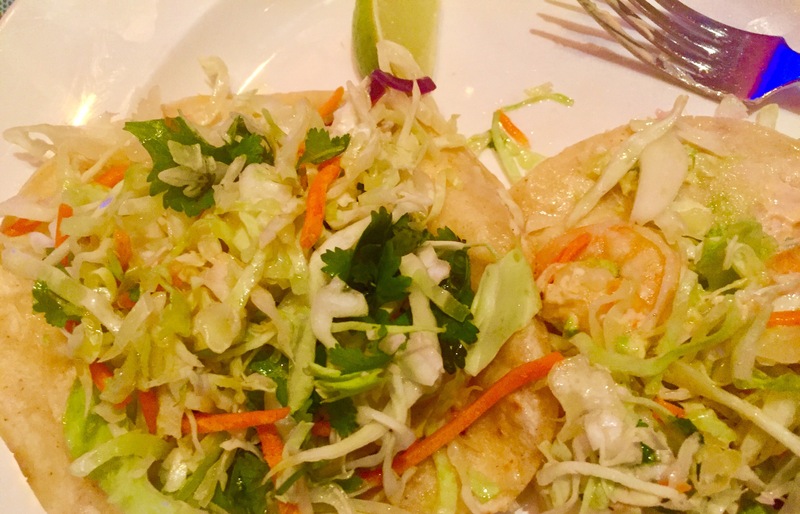 Sautéed, in warm corn tortillas, with a crispy and very fresh slaw on top. I cleaned my plate. 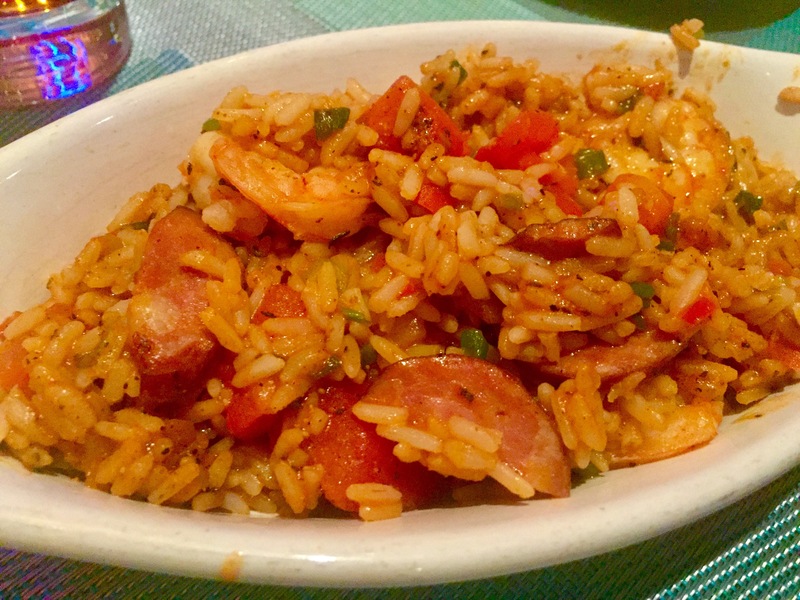 For Rob, the Shrimp and Andouille Jambalaya, technically listed as a side but ample enough as a light lunch. It was also, happily, spicy enough not to need any additional hot sauce (rare for restaurant jambalaya). Suffice it to say that Emeril knows his jambalaya. Up tonight: an excursion off-strip to what is reputed to be the best Thai restaurant around.